Where style meets practicality: maximize your feel-good sensations while on the road with this extra comfortable van. It brings about everything you might want to make your trip as smooth as possible in all aspects of your ride. 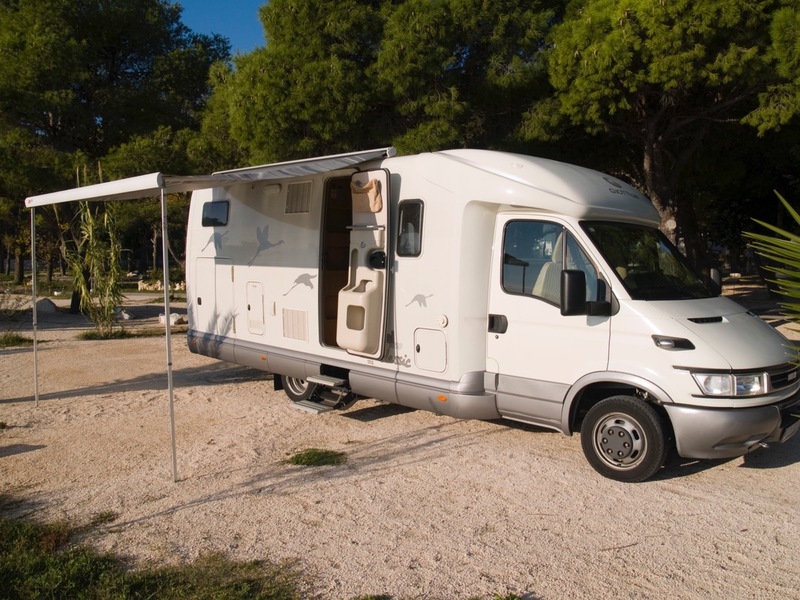 Choosing the right campervan for your traveling needs and wants is all about making the motorhome work for you in all aspects of your ride. GiottiLine Graal Y450 is a perfect example of everything you might want to make your trip as smooth as possible. 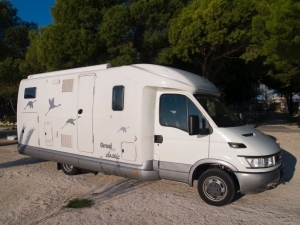 This is an ideal campervan for 2 people. 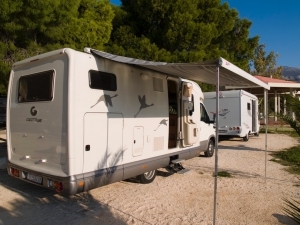 However, if an additional 2 travelers might want to join you in your driving trip adventure, the camper can accommodate them as well. 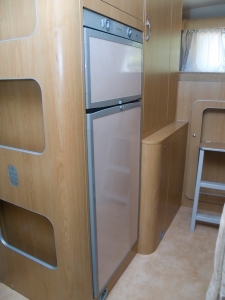 Together with a fixed large double bed, it includes 2 extra seats that easily fold down into beds if needed. The pleasant interior is decorated with carefully selected colors that add up to its overall friendly and relaxing atmosphere. Light brown tones combined with cream-white surfaces convey calming effects and make you feel like home wherever you go. Three burner stove, water sink, and a large refrigerator will make for a practical small kitchen. A spacious bathroom will ensure that you have more than enough comfort to nurture your wellbeing and maintain your everyday personal hygiene. 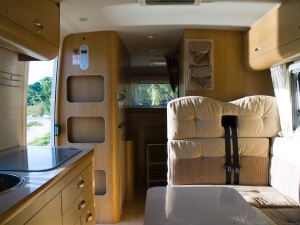 Need more space to bring along extra stuff to your road trip? No problem – an enormous garage under the bed is there to provide you with extra room for everything you don’t want to leave behind. Go with GiottiLine Graal Y450 and maximize your feel-good sensations while on the road! Interested in renting GiottiLine Graal Y450 for your holiday?